Sediver has always been strongly committed to the protection of the environment. Sediver global environmental policy monitors key indicators, provides clear guidelines and implements any actions to make the production greener and reduce our carbon footprint. Sediver’s designs are fully integrated into a sustainable development strategy that encompasses both ongoing technological research and improvements for ever higher quality products as well as a strong focus on green engineering-related development with lower emission. Sediver Shanghai plants has invested 6M € over the past 13 years into new technology toward greener production. 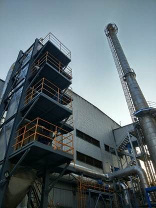 Today, Sediver Shanghai is going a step further in its actions to lessen its impact on the environment with the design of a new advanced and eco-friendly furnace and the addition of a particles filter. This new furnace is proven to have a lower furnace smoke emission while thanks to the particles filter the NOx emission (one of the main emissions issued by the glass manufacturing industry) is reduced by 95%, that is to say 30 tons NOx emission less per year which is much lower than the average industry standard.